A meditation to help all children caught up in slavery was held at the Peace Sanctuary last Wednesday. Many thanks to Ceinwyn Thomas and all who attended. 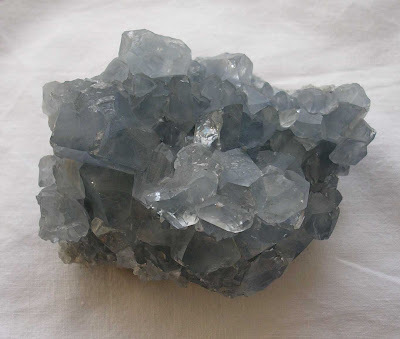 I've written before about the great health risks of mobile phone masts in energy terms and how their negative effect can be greatly reduced using crystals. However my family and I had a dramatic demonstration of their negative power when recently travelling the length of Scotland. Throughout our journey to Orkney and back we had numerous stops at a range of places and eateries all of which had been largely fun and enjoyable. However on this particular occasion, after a beautiful day out in the mountains in warm sunshine we stopped at services on the outskirts of Edinburgh. from the start I had a real feeling of not wanting to be in the place, instead of feeling relieved to be out of the car after a three hour drive I felt tense irritable and claustrophobic. The children immediately sprang into materialistic mode, wanting everything and anything from the shop. The food took forever and then when it came the order had been misread and both I and my youngest daughter had at times to go and sit outside and then didn't feel any better. It was only as we were getting in the car to leave that I noticed right next to the site largely hidden by trees a huge mobile phone mast. On talking later with my family my oldest daughter, who is nine commented that she had felt 'closed in' and very uncomfortable where we had stopped and didn't want to go back there. Obviously our experiences could be viewed to be connected to many things but I truly feel that the the mast was having an overpowering effect on our energy and thus how we felt and behaved as well as on the energy and thus efficiency and service of the staff. Interestingly the only member of staff who seemed at all positive and efficient, I had overheard say had just started working their the day before. I would love to have the opportunity to return to these services, crystal plant the mast in question and observe the changes that take place. What ever your own experiences or beliefs around mobile phone masts and their effects on health if you have any doubts at all please feel empowered to know that their negative effects can be simply negated by the planting of an appropriately programmed pyrite chispa such as the one in the photograph below, within twelve feet of the structure. 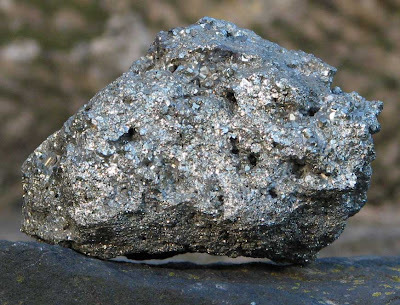 Programmed pyrite chispas are available through Crystal Earthworks or you can learn to programme your own through the projects distance workshops and forthcoming book 'Crystal Clear'.